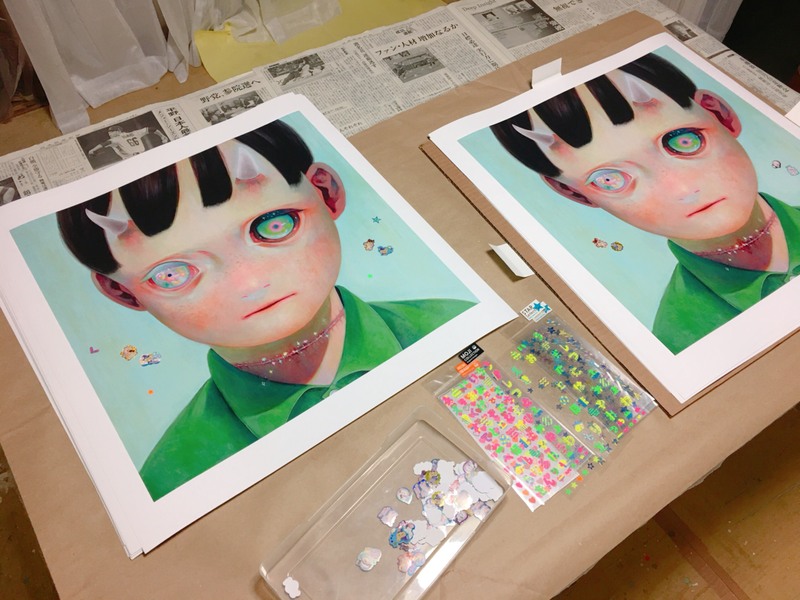 Dropping this Friday - Hikari is commemorating her first ten years as an artist with a very special print! She recently celebrated her anniversary with a retrospective at the Asai Art Museum in Japan. The print is a hand-embellished, limited edition reproduction of her original painting, Whereabouts of God #1. 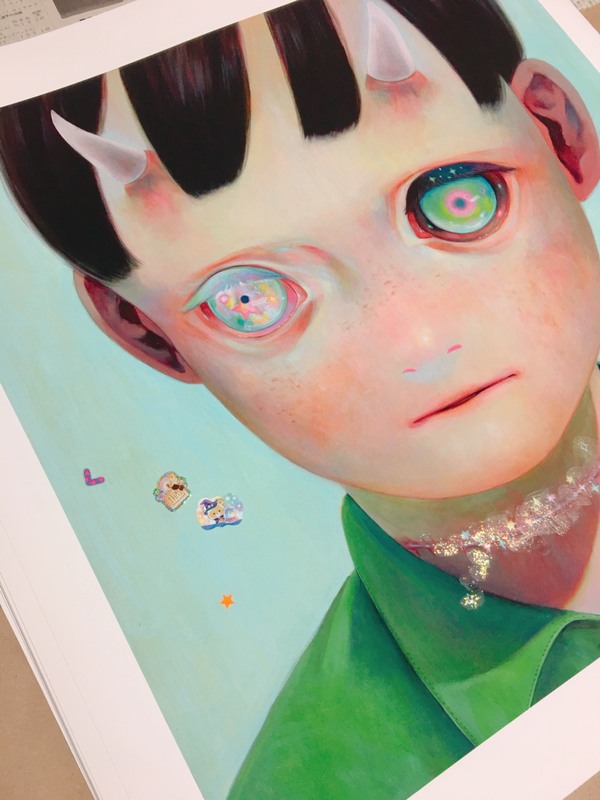 Limited to just 25 editions, each print is entirely unique and features hand-painted details by the artist, including glitter and stickers. 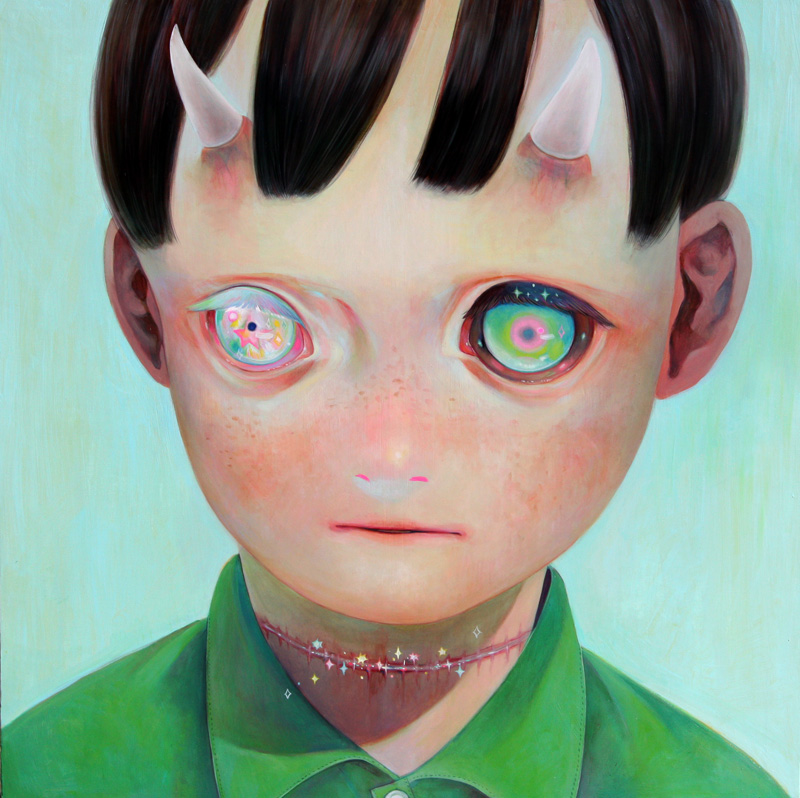 Originally painted in 2012, this was the first appearance of Hikari's beloved horned, starry-eyed children. On her inspiration, Hikari has shared, ""When the Great East Japan earthquake occurred, the peaceful every day collapsed in an instant, and nuclear power, which had been commercialized as ‘natural and safe’, suddenly became a threat." "Immediately, I felt the need to express a feeling of discomfort with the ‘peaceful’ life, and in doing so, bring to mind serious issues that we were not previously aware of, or could not see. I choose to express this with positive visuals that don’t appear serious on the surface, but the essence of my work is more earnest and grave." The print will be available to purchase on Eyes on Wall's website at 1:00pm EST this Friday, February 8th, and shipped worldwide.